Coming to work sick may do more harm than staying home - for the employee, the team, and the firm. Whilst the cost of absenteeism in organizations has been widely acknowledged and extensively examined, the counter-issue of 'presenteeism' has only recently attracted scholarly attention as a phenomenon that harms employee wellbeing, disrupts team dynamism, and damages productivity. 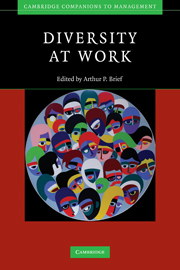 This volume brings together leading international scholars from diverse scientific backgrounds, including occupational psychology, health, and medicine, to provide a pioneering review of the subject. 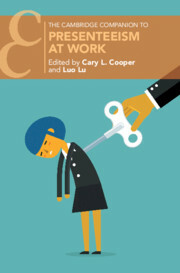 International in scope, the collection incorporates both Western and East Asian perspectives, making it an informative resource for multinational companies seeking to formulate human resource strategies and better manage their culturally diverse workforce. It will also appeal to scholars and graduate students researching human resource management, organization studies, organizational health, and organizational psychology. 12. Presenteeism in the Chinese work context Yanxia Wang, Chih-Chieh Chen and Patricia Fosh.